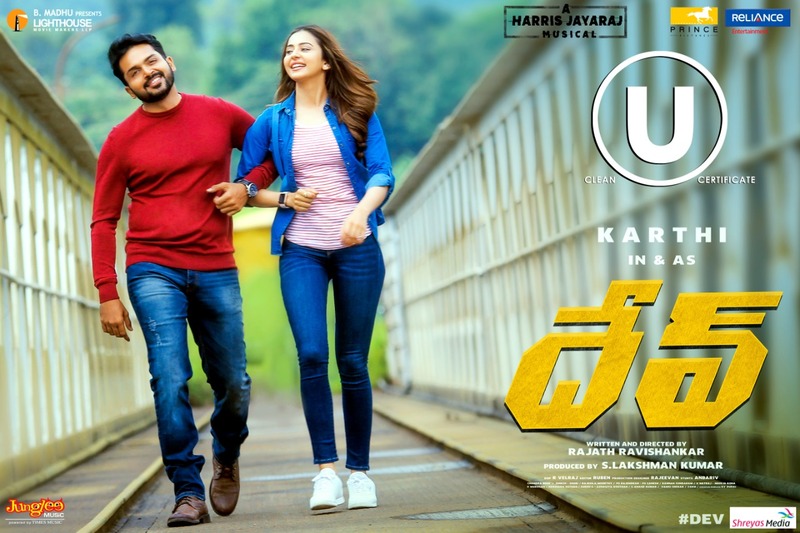 ‘DEV’ starring Karthi and Rakul Preet Singh in the lead roles, has completed the censor formalities and got a ‘U’ certificate. This is an action family drama being written and directed by Rajath Ravishankar. Actors Prakash Raj and Ramya Krishnan are playing important roles in the film. 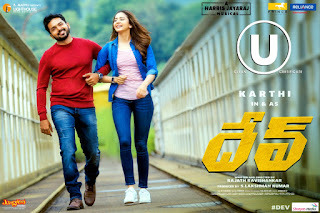 Harris Jayaraj has composed music for the movie. ‘DEV’ will simultaneously release in Tamil and Telugu languages on February 14th on the occasion of Valentine’s Day.